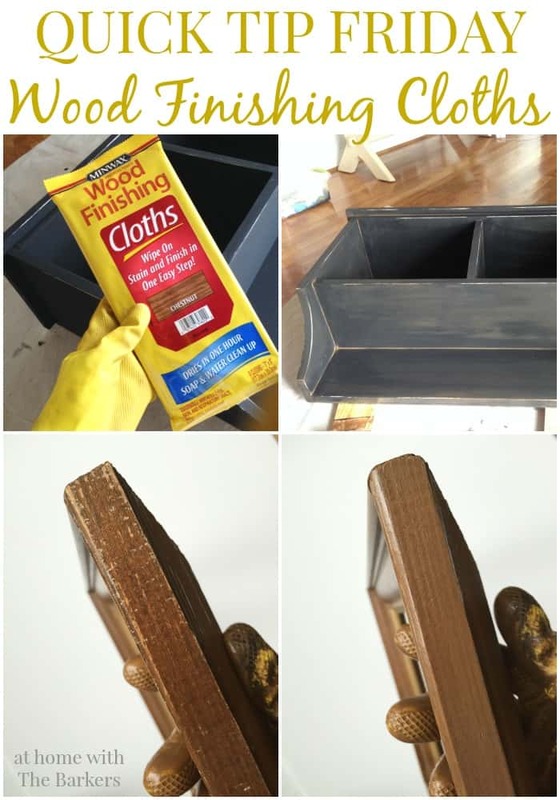 I have so many tips I could give you about chalk finish paint but I thought this would be a great one to share today. 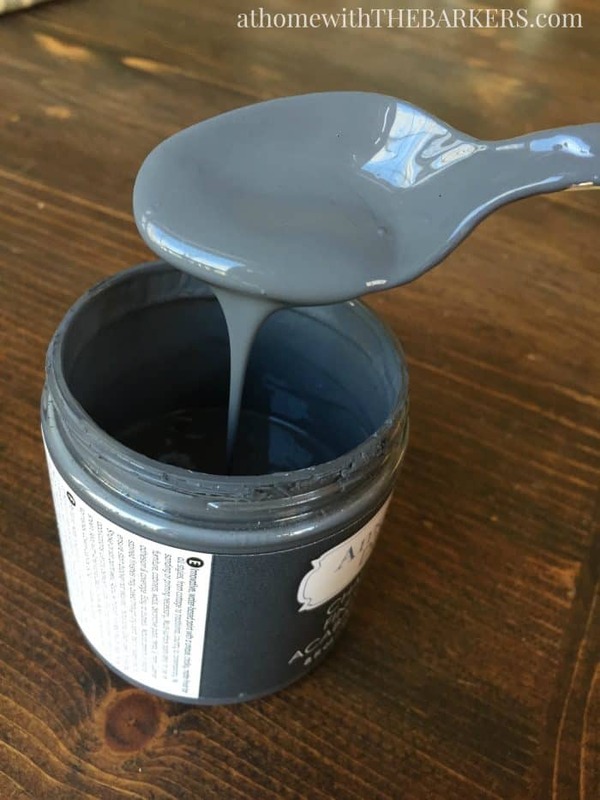 I have tried many different brands of chalk finish paint and I have even created some homemade chalk finish paint but they all consistency start out thick. You can tell how thick this DecoArt paint looks in this photo. 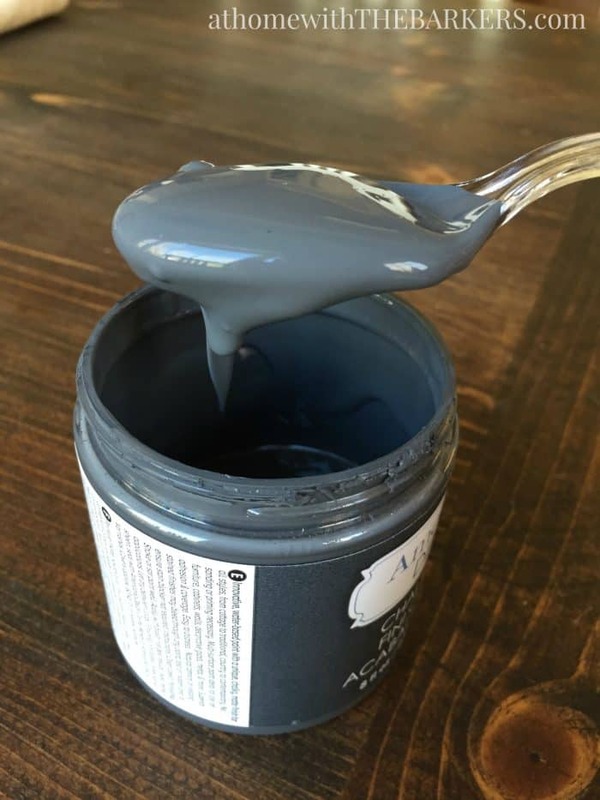 The thickness is great for the first coat of paint for your project. Sometimes that is all you need especially if you are planning to distress the piece. Now for the quick tip…just add water. The water thins the paint perfectly for a second coat or it can get thin enough for a wash, totally depending on how much water you add. The water also helps to thin the paint after it has sit for a while. 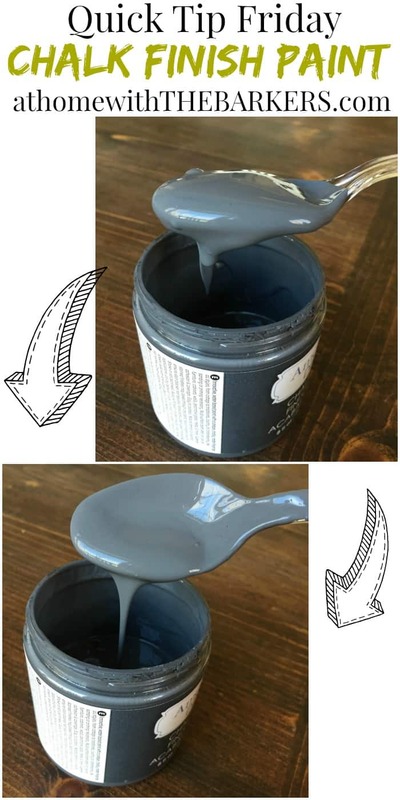 You can see from the photo below what the paint looks like after adding a little water. Now you know how to use water to thin the paint after it has set and thickened, for a second coat or for a thinned wash technique. Plus it helps your paint last longer for more projects! If this is your first time visiting my blog, WELCOME! I am happy to have you. 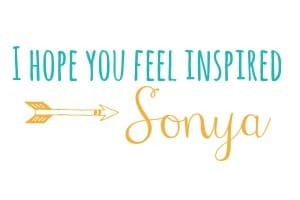 I would love to have you add your email to my list so you can be the first to know when new post are up. First, let me say I love your blog! I look forward to reading it and enjoy learning from you. This is in reference to your Old Hardware/New Life. The hardware looks awesome! I have a friend who wants to make her hardware look old. Any ideas? 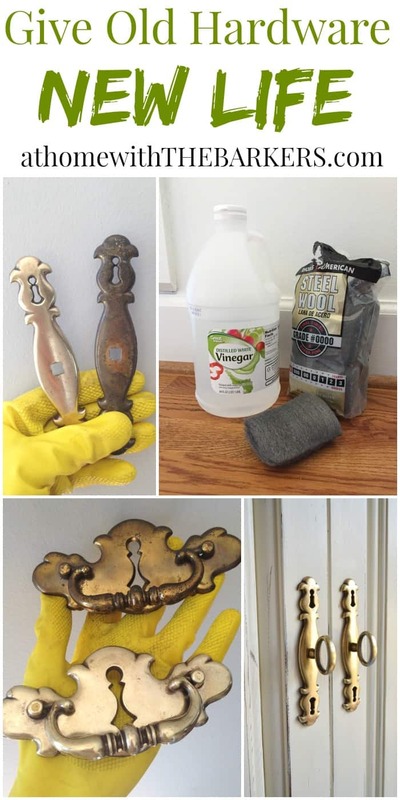 Her hardware is a shiny brass look, and she wants it to look like what you started with in your blog. I’ve read that both ammonia and salt water work, but most new metals have clear coats that need to be removed if you want to do antiquing. I’d check a Martha Stewart website because I remember her doing that on one of her shows many years ago and I’ll bet she has it somewhere. I know I used nail polish remover and ammonia and brown paint on a jewelry box I was working on for my mother. Just as I was working on my chalk paint project, I thought I’d take a little break and then your post appeared in front of me. If that isn’t luck, I don’t know what is ! Thanks for all your great tips! Loved your board and will now follow it. Must say I couldn’t believe my eyes when I saw your site name “At Home with the Barkers”. Just had to investigate. I am an interior designer and have found Pintrest just perfect for homing into people’s ideas of what they would like. This is my go to chalk paint. I buy at Michaels with their 40% off coupons. I did my step-daughters kitchen with just 2 containers. And I did the same thing. I wasn’t afraid to thin it out since I knew I could just add another coat. I converted my husband when he saw how easy it went on.